Winston said he will play at 250 pounds in 2019, Rick Stroud of The Tampa Bay Times reports. 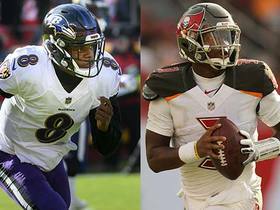 New offensive coordinator Byron Leftwich confirmed Winston will be the Buccanners' starting quarterback in 2019, Rick Stroud of The Tampa Bay Times reports. Buccaneers general manager Jason Licht said Winston will be back with the team in 2019, Greg Auman of The Athletic reports. 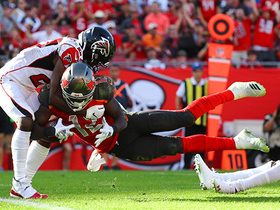 Winston completed 22 of 35 passes for 345 yards with four touchdowns and one interception in the Buccaneers' 34-32 loss to the Falcons on Sunday. He also rushed twice for 23 yards. 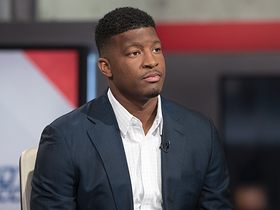 Winston will return as the Buccaneers' starting quarterback in 2019, according to Adam Schefter on ESPN Sunday Countdown. Winston may not play all of the Buccaneers' offensive snaps in Week 17 against the Falcons after coach Dirk Koetter said Monday that the team would like to get backup quarterback Ryan Griffin his first NFL regular-season reps in the contest, Eduardo A. Encina of the Tampa Bay Times reports. 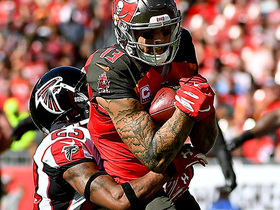 "The guy's been here for three years," Koetter said of Griffin. "He's worked his tail off." Winston completed 34 of 48 passes for 336 yards with one touchdown and no interceptions in the Buccaneers' 27-20 loss to the Cowboys on Sunday. He also rushed four times for 14 yards and lost two fumbles, one of which was returned for a touchdown. Winston completed 13 of 25 passes for 157 yards with no touchdowns and one interception in the Buccaneers' 20-12 loss to the Ravens on Sunday. He netted zero yards on two rushes. 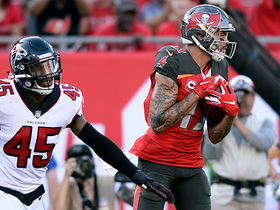 Analysis: Winston had a couple of highlights -- a 64-yard completion to Mike Evans on a broken play being the most prominent -- but his final line was indicative of the sluggish performance of the Buccaneers offense on the rainy afternoon. Winston's passing yardage total was his lowest by far in any game he's played start to finish this season, and the touchdown-less performance was only his second of the campaign. The fourth-year pro will look to bounce back against the Cowboys in a Week 16 matchup. Winston completed 18 of 38 passes for 213 yards with two touchdowns and one interception in the Buccaneers' 28-14 loss to the Saints on Sunday. He also rushed five times for 47 yards. Winston completed 20 of 30 pass attempts for 249 yards and two touchdowns Sunday against the Panthers. He also carried five times for 48 yards in the 24-17 win. 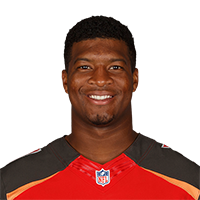 Analysis: Winston completed 67 percent of his passes while averaging a healthy 8.3 yards per attempt. He threw touchdown passes to Chris Godwin and Adam Humphries, giving him a 6:1 TD:INT over his last three games. Winston was also effective as a ball carrier, leading the team in rushing to top off his productive afternoon. 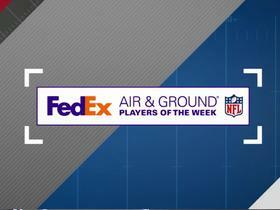 He'll look to build on his recent success in Week 14 during what should be a high-scoring affair against the Saints. Winston completed 29 of 38 passes for 312 yards with two touchdowns and no interceptions in the Buccaneers' 27-9 win over the 49ers on Sunday. He also rushed seven times for 24 yards. Winston will get the start Week 12 against the 49ers, Rick Stroud of the Tampa Bay Times reports. Winston will continue to back up starter Ryan Fitzpatrick in Sunday's road game against the Giants. 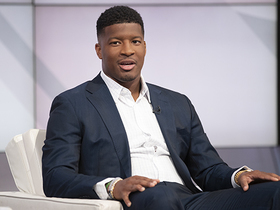 Tampa Bay Buccaneers quarterback Jameis Winston gives advice to Oklahoma quarterback Kyler Murray if he's drafted No. 1 overall. 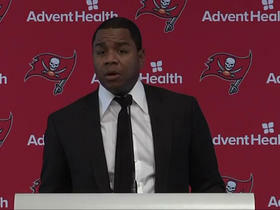 Tampa Bay Buccaneers offensive coordinator talks about his excitement to work with quarterback Jameis Winston. The "NFL Fantasy Live" crew compare two players going up against each other, and who will come out with a better fantasy performance in Week 15. 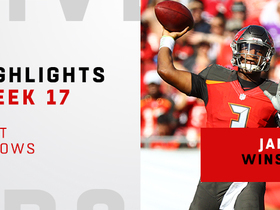 Check out the best throws from Tampa Bay Buccaneers quarterback Jameis Winston's 345-yard, 4 TD game in Week 17. 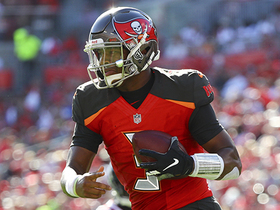 Tampa Bay Buccaneers quarterback Jameis Winston takes off to convert third down.